Lee Soo-man, founder and head producer of K-pop behemoth S.M. 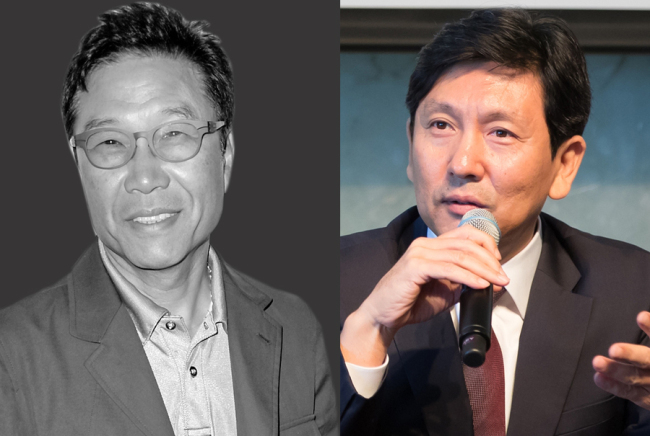 Entertainment, and CJ E&M Pictures CEO Jeong Tae-sung were selected among the top 500 most influential business leaders in the international entertainment industry by Variety on Wednesday. The two names are included in the annual “Variety 500” index, which lists the most influential business leaders in the global entertainment scene, reflecting their accomplishments over the past 12 months. Lee and Jeong are included in the “Overseas Overseers” category, one of 17 categories. “Lee is known to have been inspired by MTV performances that are both musically and visually strong and had a vision for the Korean pop music industry,” Variety wrote in its profile of Lee, 64. “In 1996, Lee launched Korea’s first idol boy band H.O.T., which popularized upbeat dance music with stylish visual concept. “The group’s popularity quickly went all over Asia and even created the term Korean Wave, which was initially used to describe Chinese fans’ craze for them,” the profile added. Variety described Jeong, 53, as a “multilingual Asia expert with extensive knowledge of both indie and commercial Asian film production as a former executive of the Busan film festival’s project market and former CEO at commercial film major Showbox. Jeong now helms CJ E&M Pictures, also known as CJ Entertainment. “Jeong’s appointment (as CEO) was always going to result in the company’s strengthened pan-Asian, if not international, business,” the profile added. The 500 names are selected by Variety’s editorial board. Other highlighted names include Facebook founder Mark Zuckerberg, Apple CEO Tim Cook, Alibaba founder and executive chairman Jack Ma, Walt Disney President Alan Bergman, Google co-founder Larry Page, Fox TV CEO Gary Newman and actor Tom Hanks. Variety, founded in 1905, is an American entertainment trade magazine and website.